Enjoy the classic style of this upholstered bed every night when you bring it home. The arched headboard has a moulded look that exudes traditionality, while a single pullout footboard drawer offers functional storage space. The solid hardwood frame is encased in foam, cushioning any contact you might have with it. Tapered wood feet support the piece and offer contrast to the lighter color of the upholstery. 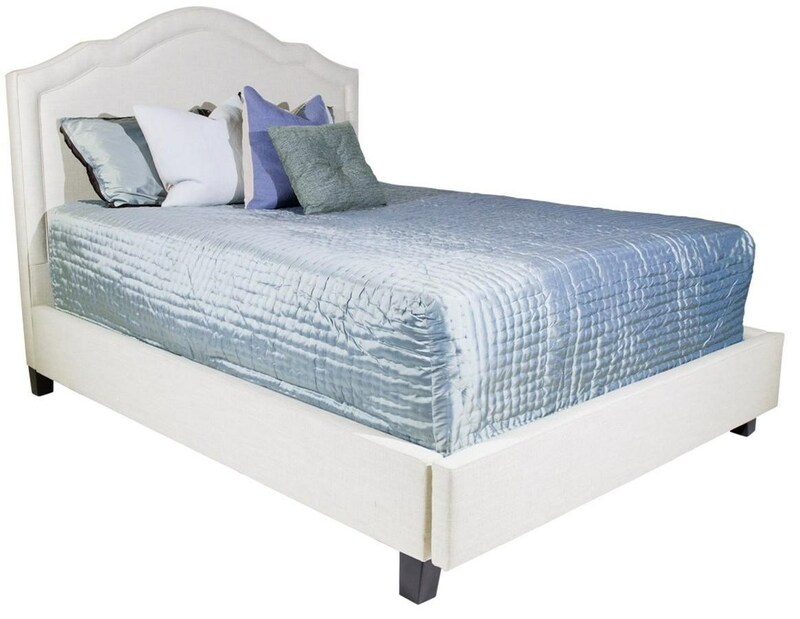 The Sasha California King Storage Bed by Jonathan Louis at HomeWorld Furniture in the Hawaii, Oahu, Hilo, Kona, Maui area. Product availability may vary. Contact us for the most current availability on this product. The Sasha collection is a great option if you are looking for furniture in the Hawaii, Oahu, Hilo, Kona, Maui area.